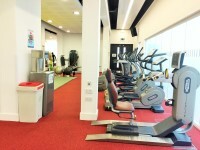 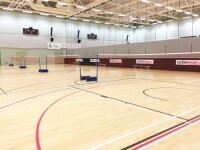 Services / facilities within the building include sport and fitness facilities. 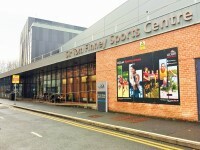 This venue is situated in Preston. 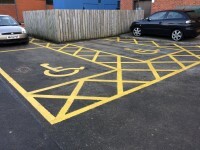 The name of the car park is Darwin. 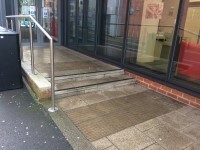 Automatic doors not in use at time of survey. 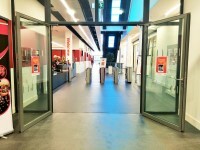 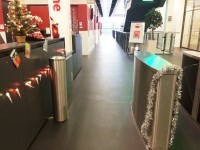 There are security barriers at reception measuring 100cm wide. 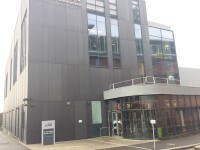 The lift is located towards the rear of the building on the left. 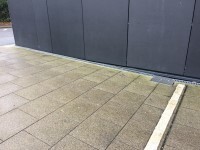 The lift is approximately 30m (32yd 2ft) from the main entrance. 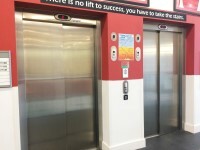 The dimensions of the lift are 110cm x 230cm (3ft 7in x 7ft 7in). 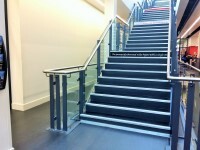 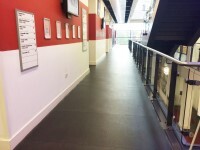 The fitness suite is located on the second floor. 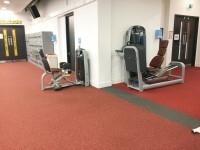 The fitness suite is 11m (12yd 1in) from the lift. 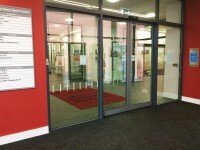 The opening is 164cm (5ft 5in) wide. 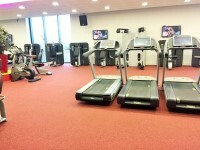 For example: treadmill and upright cycle. 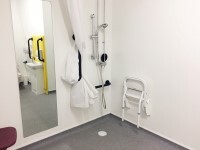 The accessible shower(s) surveyed is/are located within the accessible changing room. 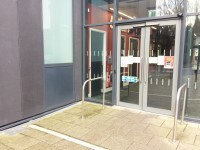 The standard changing room(s) surveyed is/are located on the left of the building. 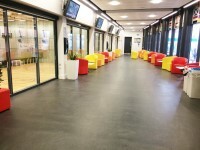 The standard changing room(s) is/are approximately 38m (41yd 1ft) from the main entrance. 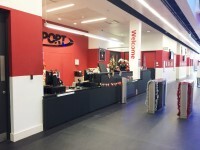 The standard changing room(s) is/are approximately 30m (32yd 2ft) from the reception desk. 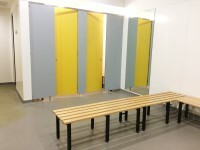 The standard changing room(s) is/are approximately 5m (5yd 1ft) from the lift. 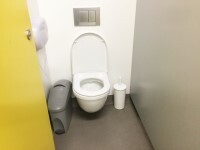 This accessible toilet is located at the rear of the lobby on the left. 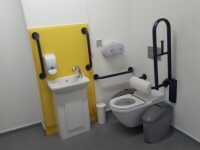 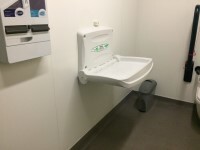 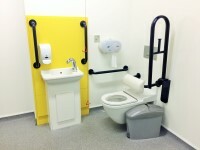 The dimensions of the accessible toilet are 160cm x 235cm (5ft 3in x 7ft 9in). 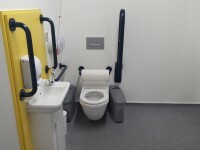 There is another accessible toilet on the lower ground floor 15m from the lift entrance with similar measurements. 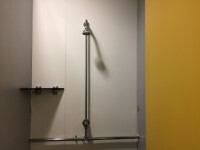 The transfer space is to the left. 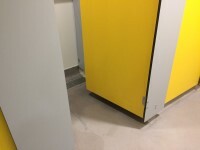 The transfer space is 70cm. 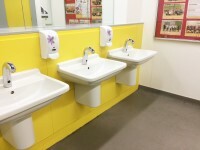 The female and male toilet facilities that were surveyed are located at the rear of the lobby. 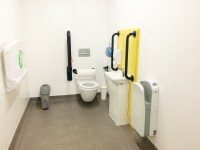 The female and male toilets are approximately 27m (29yd 1ft) from the main entrance.